In my last year of college I went to a workshop on networking. Apparently the conversational habits I’d spent the last four years mastering were useless in the real world. To get a job you have to forget what you know about modesty and authenticity and master the art of “the schmooze”—that lowest form of human interaction. Since joining the working world, every networking event I’ve been to has fulfilled that promise. Some people love schmoozing—that guy who shows up everywhere with a stack of business cards that read “Networking Professional.” I’m not that guy. I network, but it makes me feel gross. It turns out I’m not alone. 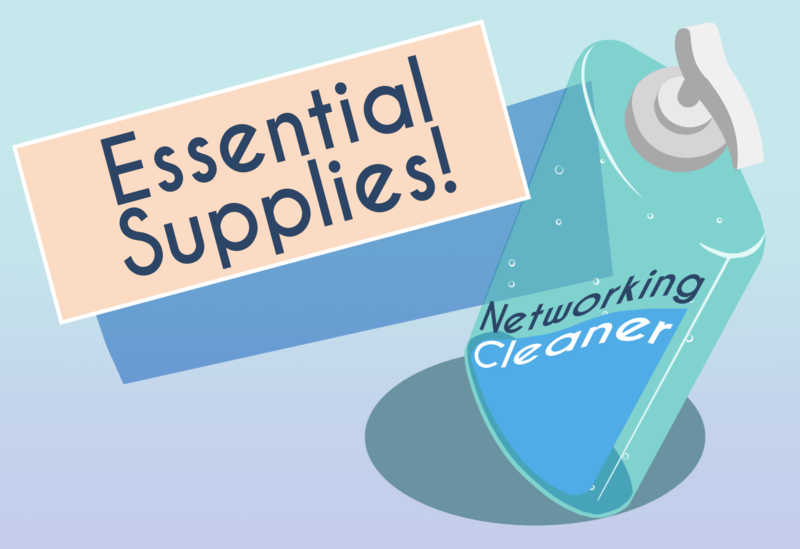 A new study forthcoming in Administrative Science Quarterly reveals that networkers are more likely to report feeling physically dirty after working the room. A team of researchers gathered together small groups of professionals. They asked some to tell a story about a time when they schmoozed, and others to tell a story about a more natural social interaction. The two groups then played a game where they were shown words with letters blocked out that could potentially be associated with cleanliness, for instance, S _ _ P.
Groups that recounted stories of networking were more likely to see “soap” while those that recounted other interactions were more likely to see “stop.” Study participants were also more likely to report feeling dirty after using Linkedin rather than Facebook. Unlike personal networking in pursuit of emotional support or friendship, and unlike social ties that emerge spontaneously, instrumental networking in pursuit of professional goals can impinge on an individual’s moral purity — a psychological state that results from viewing the self as clean from a moral standpoint — and thus make an individual feel dirty. We theorize that such feelings of dirtiness decrease the frequency of instrumental networking and, as a result, work performance. The authors recommend that people who don’t like professional schmoozing approach it the way they approach normal social interactions. So keep networking. But think of it as a way to form mutually beneficial relationships, not as a way to squeeze someone for all they are worth and move on. You just may find yourself feeling less dirty after exchanging business cards. Of course, glad-handing is actually very dirty business, no matter how it feels. So keep that purell handy, and consider the salutary advantages of the “fist-bump” (you can call it a pound if you are under 50). Amol co-founded several startups including Virgin Mobile, Peek, Halo and Knotable, built a building in New York called East of East, and studied cognitive science for his Ph.D.